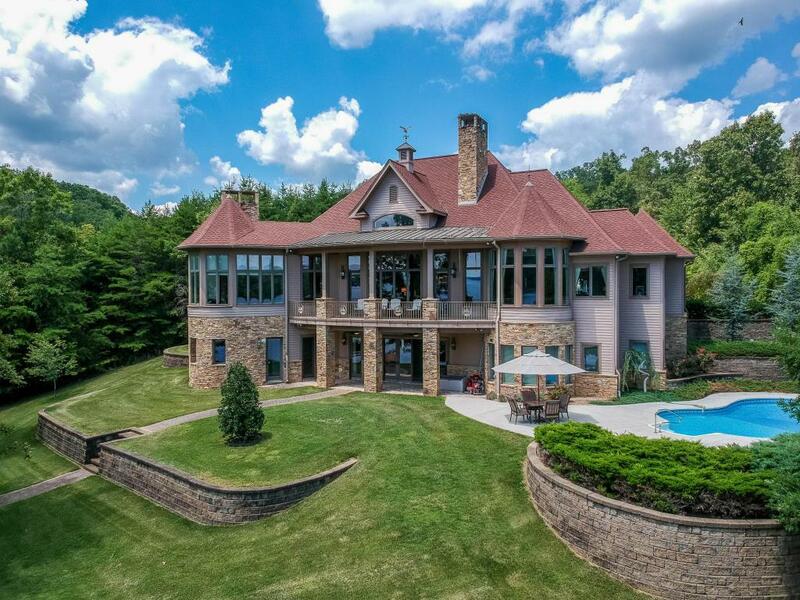 WATTS BAR MAIN CHANNEL LUXURIOUS LIVING!! This magnificent masterpiece offers 5 bedrooms and 5 1/2 bathrooms with amazing views from nearly every room in the house. Turn-Key with the most elegant furnishings and decor. The captivating main level offers a state of the art kitchen with granite counter tops, stainless steel appliances to include a double oven with additional warming drawer, as well as a built in ice maker. There is a sunroom with a wood burning fireplace and slate flooring that is located just off thekitchen. The open dining/living area features a floor to ceiling stone fire place with gas logs and an abundance of windows. The Master Suite has a private entrance onto the balcony, an oversized bathroom with garden tub, double sinks, 2 walk-In closets and a tile shower.Additional main level rooms include an executive study, hallway storage that leads to the laundry room and an attached 3 car garage with a bonus room/bedroom with full bath that is currently being used as a media room. Guests will enjoy the lower level great room /recreation area surrounded by three large bedrooms, each with it's own private bath. One of the bedrooms has an adjoining craft room. There is also an additional storage room. Enter the outdoors to the private setting and enjoy the refreshing in-ground swimming pool overlooking the lake. 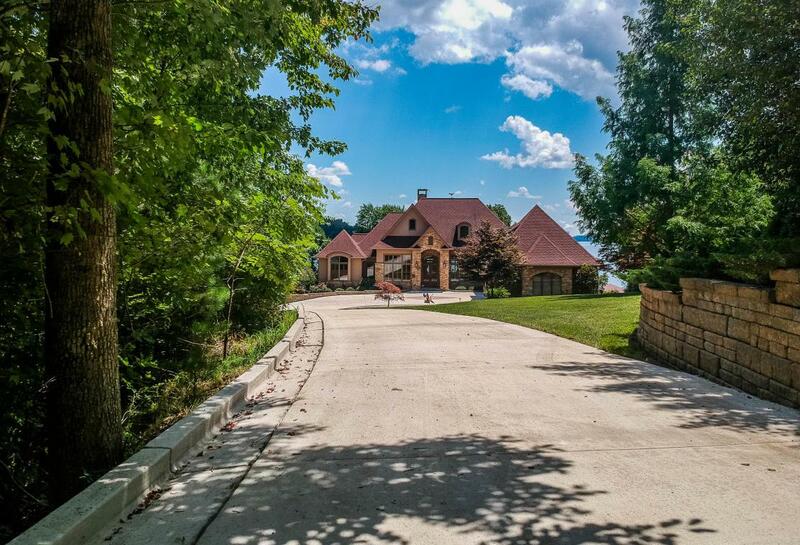 At the waters edge there is a concrete fire pit, rip rap shore and a private concrete boat ramp, all on a point lot. Deep year-round water, double slip boat dock with electric lifts and storage room to include a like-new 24 ft Four Winds Boat. 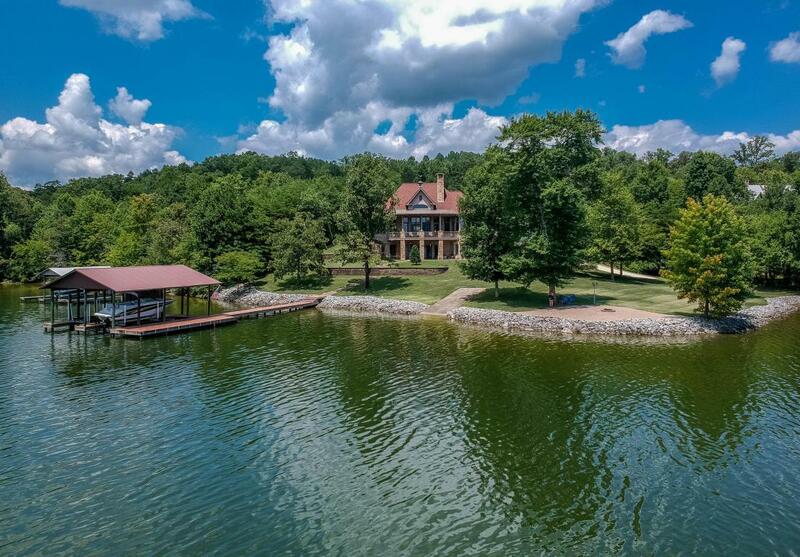 The Grounds have been professionally landscaped to include an irrigation system at the house and the additional four car garage on the hill with 3.5 acres and a stunning lake view. This garage includes a 14ft bay door to house an RV/motor home. Please call for your private tour before this jewel gets away! Big Screen TV in Bonus Room above garage DOES NOT CONVEY with Sale of Property!